Cells come out of the dark age > A new range of cell culture reagents allow cells in culture to be kept alive during exposure to light. A new range of cell culture reagents is being launched today by Cell Guidance Systems which allows cells in culture to be kept alive during intense or prolonged exposure to light. The media are transforming the quality of data. Cell culture is a core activity of life science research. Cultured cells are usually grown in the dark and are only exposed to light for brief periods. However, in some cases, cells need to be exposed to prolonged periods and/or high intensities of light. 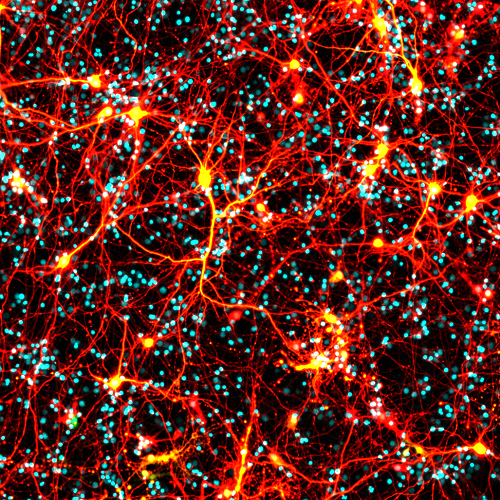 Such techniques include fluorescence activated cell sorting (FACS), live cell imaging, calcium imaging and optogenetics. Exposure to light in these experimental procedures can cause widespread cell death which impacts both interpretation of the experiment and restricts potential downstream applications. In large part, phototoxicity is due to components of the cell culture medium which are converted into toxic free radicals by exposure to light. To address this problem, LiveLight™ cell culture reagents have been specifically engineered to effectively eliminate the generation of free radicals. Using LiveLight™ reagents, even prolonged exposure of cells to intensive levels of light has negligible effects on cell survival. Now, sensitive cells, such as oligodendrocyte precursor cells, maintain very high levels of viability. LiveLight™ reagents are available directly from Cell Guidance Systems and through their network of distributors.